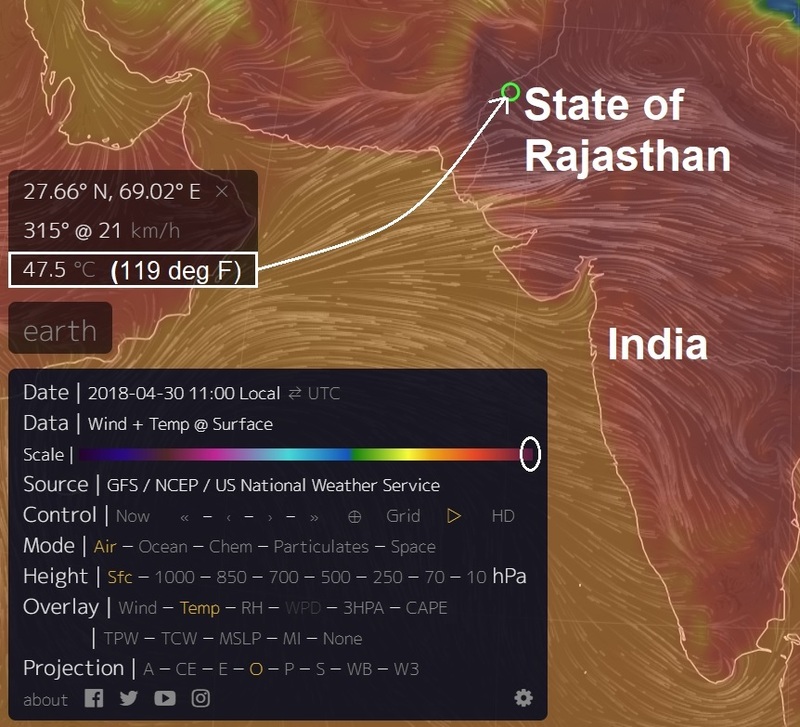 As temperatures creep up to levels humans should not have to endure India's miserable heatwave continues with the mercury approaching 50 deg C or 122 deg F.
As temperatures climb, so will the dangers to the millions of people and animals living in the region. Residents will once again have to take the necessary precautions to avoid heat exhaustion and heatstroke, as well as deal with poor air quality. India Meteorological Department, IMD, has issued a heatwave alert for Rajasthan, west Madhya Pradesh, central Maharashtra and Vidarbha over the next two days. IMD said that Dust storm along with thunderstorm is also likely over west Uttar Pradesh tomorrow. It warned that thunderstorm accompanied with gusty winds are very likely at isolated places over east Uttar Pradesh, Bihar, Jharkhand, Assam, Meghalaya, Nagaland, Manipur, Tamil Nadu, Pudducherry and Kerala. IMD has forecasted that heavy rains are likely at isolated places over West Bengal, Sikkim, Assam, Meghalaya, Nagaland, Manipur, Mizoram and Tripura tomorrow. A cyclonic circulation currently lays over southeast Uttar Pradesh and neighbourhood. There is also a cyclonic circulation over Gangetic West Bengal.